IF YOU’RE AFRAID TO FLY and you’re reading this then chances are you already know you’re missing out on some of life’s most enjoyable things – things that other people take for granted: travel and holidays, visiting family and friends and even career opportunities, to name a few. What you probably don’t know is the problem can get worse if left untreated. The stress and anxiety can cross-associate to other areas of a person’s life, at which point they eventually seek support when they reach crisis point. 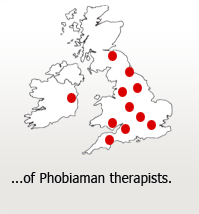 I’m Alex, veteran member of Paul Mckenna’s Training Team and Treatment Director here at The PHOBIAMAN Clinic. I am a clinical specialist in the treatment of fear of flying and fear of heights with hypnosis and NLP, and over the last 13 years I have put together a team of some of the best phobia hypnotherapists anywhere. We are professional, full-time therapists and we may be able to help you overcome your fear in just two or three sessions if you’ll only allow us to. That may sound like a wild claim right now, but when you stop to consider that we have already helped over 9000 others*, hopefully it begins to sound a bit more real. Others measure their success by how many people take a flight at the end of the course or treatment. But thousands of people fly every day despite having a fear of flying because they have to. So this doesn’t mean the phobia has gone. 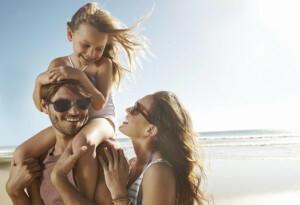 And even with these higher benchmarks, our success rates are better* than the airline courses, as well as other clinics and therapists, because we specialise in phobias and we have a unique fear of flying hypnotherapy programme delivered by some of the best hypnotherapists anywhere. People who have never had a phobia say you are far more likely to die on the way to the airport than you are by flying. That’s true, but it doesn’t help, does it? At the PHOBIAMAN Clinic, we know that this sort of logic won’t conquer the anxiety and stress of a flying phobia. And the fact that pilots and cabin crew sometimes develop a fear of flying is proof it has nothing to do with safety or logic or knowing how aeroplanes fly. It is also proof that there is nothing wrong with you if you do have a flying phobia. We all know logically that flying is safe. But the fear has nothing to do with flight safety or logic or understanding because it comes from a completely different part of the brain. The reason we don’t do this is because it doesn’t work. And we think asking a pilot to cure a fear of flying is as silly as asking a therapist to fly an aeroplane, (and the pilots we’ve spoken to agree with us). Overcoming fear of flying is about the brain, not the plane. If you’ve ever been on an airline fear of flying course you’ll know that most of the people on the flight at the end are still terrified, some people are close to a panic attack. They haven’t overcome their fear of flying at all, even after a whole day (sometimes two days!) of learning about flying. They are “Facing their Fears” in order to conquer them. Some of them are in tears they are so frightened. You can see it in the promotional videos on the airline websites. These brave people have our full respect but this is the old psychological model of how to overcome fear – “Feel the fear and do it anyway”. It’s called exposure therapy, or systematic desensitization, and it isn’t very nice. 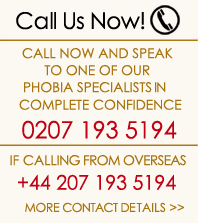 It’s important to make sure you are putting your trust in a specialist phobia clinic for your phobia treatment. Luckily, here at The PHOBIAMAN Clinic we specialise in treating phobias, so we understand what it’s like to have a real fear. And we know that fear of flying is often underpinned by other fears like claustrophobia or fear of heights. 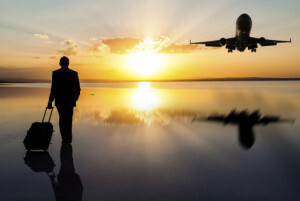 This means a fear of flying won’t always respond to the out-of-the-box phobia methods and relaxation techniques that non-specialist clinics rely on. If you want to check if a clinic or therapist GENUINELY specialises in phobia treatment, just have a quick look at their websites. If they offer treatments to stop smoking or weight loss or coaching or anything else then they do NOT specialise in phobias. 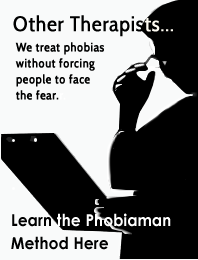 And if they don’t specialise they are less likely to have the experience or expertise necessary to treat your phobia. As veteran members of Paul Mckenna’s training team, we help Paul and Dr Richard Bandler (the man who thought it all up) to deliver the largest NLP trainings in the world. Some of us have spent more than 10 years helping to deliver these trainings to tens of thousands of other hypnotherapists. 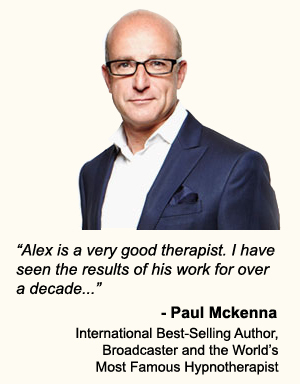 That’s over 80 seminars, working alongside Paul Mckenna and Richard Bandler. There is no team with more experience anywhere, and all this means we deliver the most powerful and thorough fear of flying hypnosis treatment programme anywhere. When livelihoods and careers depend upon results, professional pilots and cabin crew come to us. “I’ve tried everything and you’re my last hope!” – We used to hear that a lot. Just call our friendly team on 0207 193 5194 and they will answer your questions and explain what may be possible for you. If you are calling from outside the UK the international number is +44 207 193 5194. You can also contact us using the form on this page and one of us will get back to you straight away.